I’m so sorry to tell you of the death of Victor Prince. 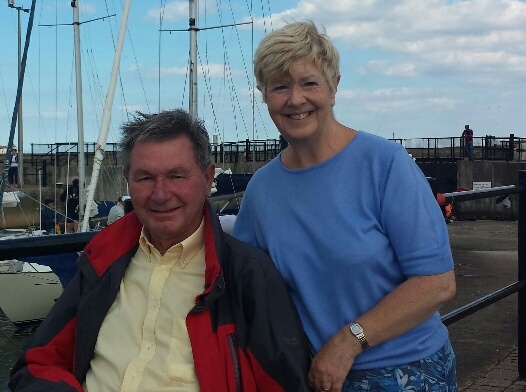 Vic joined DR in 2013, shortly after a diagnosis of Motor Neurone Disease and he and his wife Lesley were very active ramblers for several years. On Mon 21st May, after increasing problems with his breathing, his life support was turned off. You’ll remember Vic’s racing green Tramper and also his generous spirit, good sense of humour and, not least, his technical know-how and fine workmanship. It was Vic who provided the design for the Tramper trays produced in support of MNDA. Typically of Vic, he’s ensured that as many things as possible are in place for Lesley after his passing. There’s no date settled yet for the funeral but please get in touch if you’d like more details later on – and of course if you have a message for Lesley I’ll pass it on. This entry was posted on 23/05/2018 at 16:38 and is filed under DR People. You can follow any responses to this entry through the RSS 2.0 feed.